When Should An Actor Hire a Publicist? I get asked a lot about the timing of hiring a publicist. The truth of the matter is a publicist will always be an asset, at a beginning of a career and during. However, getting the most out of a publicist depends on a combination of your work and the contacts a publicist may have. For instance, if you’re new to the scene and you’re just beginning your career as an actor, a publicist will be good to evaluate your current materials (website, IMDb page, social media channels, etc.) and guiding you on building your brand. Publicists aren’t cheap, but the value can be used more effectively if you take a moment and go through the list below. You’ll be happy once you’ve developed a clear vision and path toward your ultimate branding goals. 1. Analyze your goals. What exactly are you trying to get out of having a publicist? Do you have anything noteworthy to promote? A play? New movie? A future project? Appropriate goals would include: increased event publicity, red carpet attendance, online and publication press, etc. 2. Create a Plan. Take a moment and create a clear path to your goal. Think about the publications that pertain to you and your industry and figure out ways to gain press. Gaining basic knowledge about PR and marketing will keep you up-to-date on techniques. Your publicist can do the rest. 3. Find a publicist with a focus in your market. There are numerous publicists who have a particular “in” with a certain niche. A publicist with a large client roster in the movie industry will be more valuable than one solely focused in music or theater. Don’t be afraid to interview several publicists before committing to a contract. You’ll want someone who’s knowledgeable in the industry, well connected, and dependable. Also, think long-term. Your publicist is going to be riding with you during your career. 4. Communicate your expectations. You have to be real. Your publicist can help you meet people in the industry or connect you with media outlets, but they can’t land you a role in the next Michael Bay movie. It’s good to have an open dialogue with your publicist so there’s no miscommunication when the retainer has dried up, and it’s time to pay for another month. 5. Evaluate your campaign. At the end of the month, evaluate the things your publicist has done. Be sure to evaluate the direction your brand has been going. How have people received your articles and press releases? You may find that the original market you were targeting has become too small, and it’s time to broaden your brand. Your publicist will also need to communicate what direction the next month’s campaign should go. 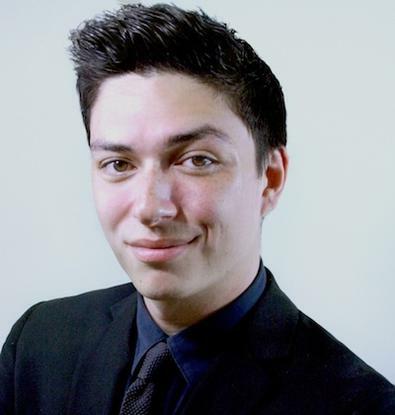 Garrett O. Thomas has been working in public relations for several years. He lived in Tucson, Arizona where he focused on restaurant publicity, combating restaurant foreclosures during the economic recession in 2008. Eventually, he moved to Houston where he began working in technology publicity. Promoting software and online publicity integration for Fortune 500 companies. After handling more than 12 contracts and overseeing hundreds of thousands in contractual agreements, he decided that he wanted to progress his career into the entertainment industry. He got a job as a celebrity publicist for Def Jam artist, Jeremih in New York. While Garrett collaborated with Def Jam and CAA, Jeremih received a Billboard Awards 2012 nomination for Top R&B song. From that point on, Garrett has worked with musicians, actors, and producers, promoting brands and educating them on his publicity knowledge and increasing his reach into a variety of areas in the entertainment industry. You can follow Garrett on Twitter and friend him on Facebook! Garrett O. Thomas is a publicist and Backstage Expert.